Today we got a proper taste of winter. I went out with a tea kettle of boiling water to melt the bird’s water dish twice. It would have been three times, but my Michael saved me the first trip. 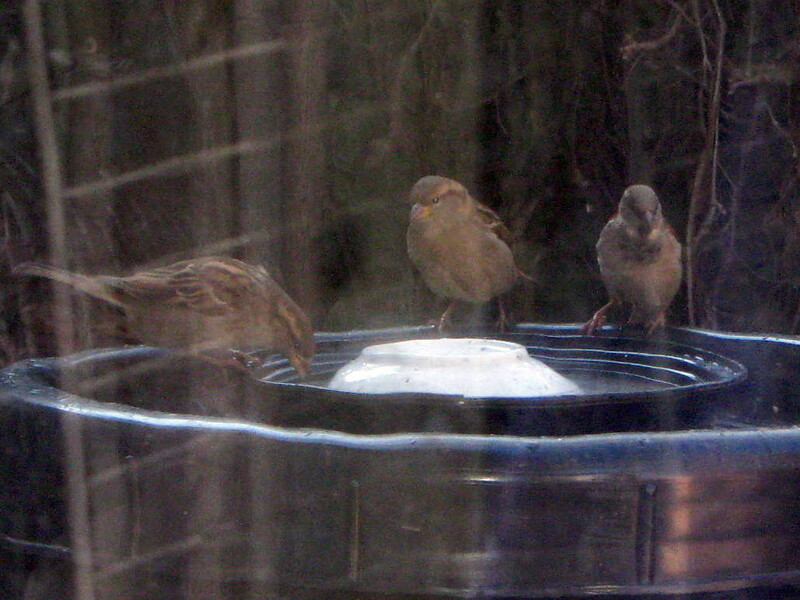 I love seeing the birds swoop in for a drink before the water even stops steaming. Too bad I didn’t get a better picture this time. Feel free to speculate about the nature of the ladder-like object being reflected in the window.